The Dragon of Eternity sustains the faceted vitrail crystal of life; Swarovski crystal. 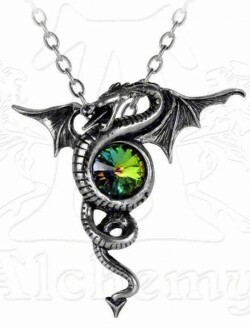 A pewter dragon pendant encircling a round, Swarovski, fractal light effect crystal. Made from the finest English pewter resulting in a great shine.